Caring for loved ones as they age can be incredibly demanding. It can also leave the caregiver feeling forsaken by society — especially as families move away from the home base, leaving fewer people to share responsibilities. “I have two sisters who I love dearly, but they both live in Florida, so it’s me,” said Tricia Kingery. Kingery is part of what some social scientists call the sandwich generation. She’s simultaneously responsible for caring for her daughter — age six — and her aging mother. Not only is Kingery in the sandwich generation…trying to balance work, marriage, motherhood and caring for her own mother, but her mom, a retired English teacher who was married to a retired principal, is middle income. Which means that she makes too much to qualify for a lot of the state services, yet also doesn’t bring in enough each month to afford private care. Kingery said there are a handful of programs in the state that offer sliding fee rates for their services. “I find that the people who really struggle the most are those who are just over the income asset guideline for Medicaid and have worked hard their whole lives and have saved — and then they’re not eligible, because they have a couple thousand extra dollars in the bank or whatever,” said Sutherland. Part of the problem, Sutherland said, is that people — especially in the more urban areas — aren’t staying in their home communities the way used to. 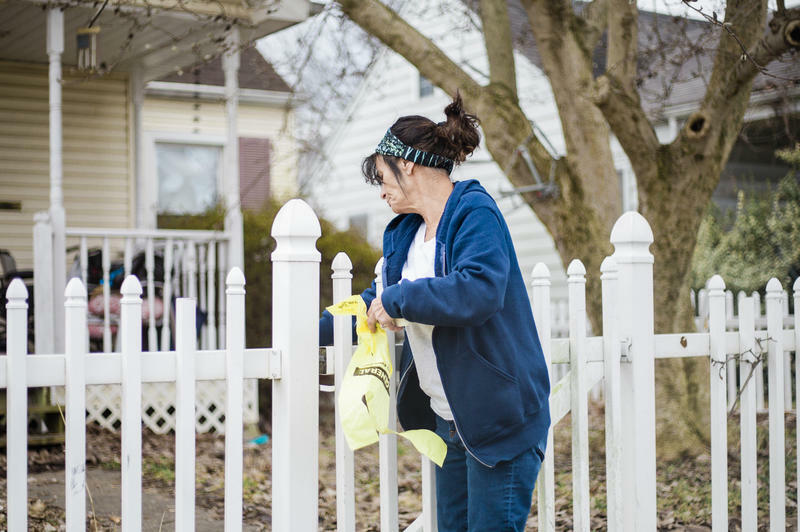 A couple of months ago, Kingery was desperate for help with her mom — even if it was just someone her mom could talk to on a daily basis other than her. After extensive research, she stumbled upon Faith in Action, took Waggener to lunch, and recently submitted an application for her mother. But Faith in Action isn’t in every county in West Virginia. Which means although the program will provide some relief to Kingery’s mother and similar families, many more families will still struggle. Editor’s Note 3/13/2019: An earlier version of this story spelled Jennifer Waggener’s last name as Waggoner. Hollywood tells us that love stories are about the beginning — catching an eye across a crowded room, a first date, a dramatic proposal. We see little, if anything, after the fairytale wedding. But for many, the greatest testament to love is not the first moments, but the last. Yet people in Appalachia can be suspicious of end-of-life care, especially hospice care. There’s a perception that when hospice comes in, it’s only for the last hours before someone dies, rather than easing the last weeks or months of life. That was certainly what Sheila Brown thought. Sheila and Waitman Brown were married for 50 years. They were high school sweethearts and raised two children in rural Wyoming County — in southern West Virginia. There, Waitman was exposed to Agent Orange. Combined with later years in the coal mines, Waitman struggled with his health. He had three bouts of cancer. The last time he was diagnosed with stage four lung cancer. At Sheila’s urging, Waitman decided to try treatment, which the doctors told them would not cure the cancer, only prolong his life. He couldn’t keep it up. So someone at the hospital recommended hospice. Sheila was pretty resistant at first. She said she was scared because she had always been told that when hospice comes, you only have a few days left. And hospice doesn’t always have the best reputation. A 2017 joint investigation between Time Magazine and Kaiser Health News found over 3,000 complaints filed over a five-year period against the nation’s 4,000 hospice organizations. The complaints referenced everything from hospice workers failing to show up to unreturned phone calls and broken hospital beds. Medicare now has a link on its website from which you can compare hospice agencies in your area. Most, like the one that served the Browns, are non-profits and rate well. And most people, like the Browns, have a good experience. In fact, hospice worked with their family for almost a year. “It helped my husband [with] what time he had left when he felt good,” said Sheila. Landon Blankenship is the chief nursing officer of Hospice of Southern West Virginia,the agency that worked with Sheila and Waitman. He said from his perspective, the point of hospice is exactly the benefit that Sheila described. Blankenship said when hospice staffers come in, they aim to help the patient live their last days as comfortably as possible: with no pain; able to breathe freely; able to accomplish that last bucket list item — attend their daughter’s wedding, go to the family reunion, make one more birthday. Yet in southern West Virginia, he said there are a couple of hurdles for getting people to use hospice in the first place. Yet doctors are taught to treat. They often try and “save” the patient no matter the cost, which Blankenship thinks is the wrong tactic. Which may mean teaching medical providers to sit down with patients and their families and to truly talk through what their goals are for the next phase. For Waitman Brown, that was getting to his 71st birthday, which he did. Sheila threw him a huge party and the community, including one of the hospice nurses on her day off, turned out to celebrate his life. Two months later, he was moved to the Bowers Hospice House in Beckley, where he could receive even more attentive care. He passed away shortly thereafter. Blankenship continues to check on Sheila periodically. She’s got health problems of her own and her son moved her from Wyoming County to just outside Charleston to be closer to him and her doctors. But she said when her time comes, she won’t have any problem with using hospice herself. In some ways, Powell is lucky. She’s extroverted and although she doesn’t walk well, she leaves the door to her apartment unlocked and some neighbors stop by and chat when they feel like it. For other seniors in rural Appalachia, meal delivery programs like Meals on Wheels may be the only contact they get with another human on a day-to-day basis. “The things about the home delivery program is if our driver is five minutes late, the senior is calling them. 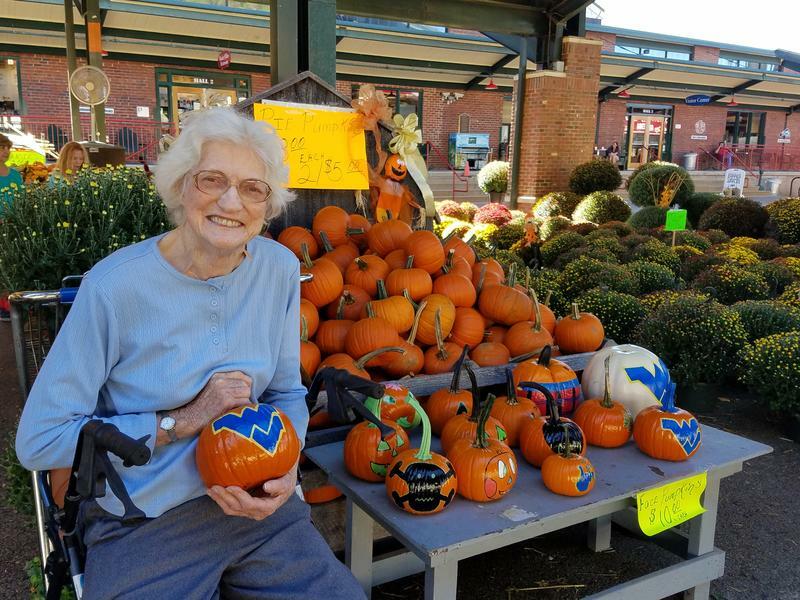 And that lets me know exactly how important the interaction is with that senior,” said William Carpenter, president of the West Virginia Directors of Senior and Community Services Association. “You know it’s not just delivering a meal, it’s a friend showing up at the door every day. And to me that’s the most important aspect of that program,” he continued. The new National Report on Healthy Aging found that 1 in 3 American seniors report being lonely. This is huge in terms of the potential impact on health. Laurie Theeke, a nursing professor at West Virginia University who has conducted studies on loneliness, said isolation and loneliness can have a big impact on human health. Theeke said loneliness in seniors may be worse in Appalachia in part due to how rural the area is, but there isn’t a ton of data to back that up. Debbie Young works for the Kanawha County home meal delivery program as a driver. She said she used to deliver to a gentleman who had a huge spider web across his front porch. She’s rather short, so she was able to duck under it when she delivered his meal. The spider web wasn’t broken for weeks. And she said she doubted any other visitors were ducking. “Some of them I know I’m the only one who sees them….at all,” she said, by way of explaining that the cobweb example wasn’t unusual. Health professionals say simple interactions, such as chatting with the mailman or a meal delivery person, can have some impact on loneliness. But the amount of impact varies from person to person. Carpenter said he suspects it’s a lot, though. “It means so much for a very simple program to those seniors,” he said. 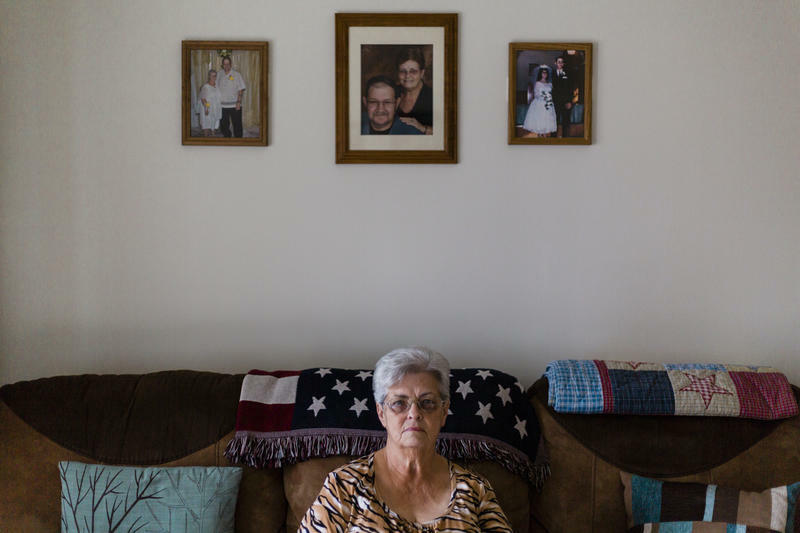 Yet across the state, home meal programs like Meals on Wheels struggle with funding. Meals on Wheels gets funding from both the federal and state governments. But the federal reimbursement rates haven’t changed in years, while the cost of providing the service — wages, gas, maintenance on vehicles — has risen. The state has increased its portion to try and make up the difference — which Carpenter said has helped — but it’s not enough. Fundraising also helps a little. But still, some programs have had to move from delivering five days a week to three. And for senior West Virginians for whom the Meals on Wheels driver is the only person they have regular contact with, reducing delivery days means they literally won’t see an actual human being that day. With 27,000 West Virginians turning 60 every year, the burden on programs like these is only expected to grow. Appalachia Health News is a project of West Virginia Public Broadcasting, with support from Marshall Health and Charleston Area Medical Center. This article was originally published by West Virginia Public Broadcasting. 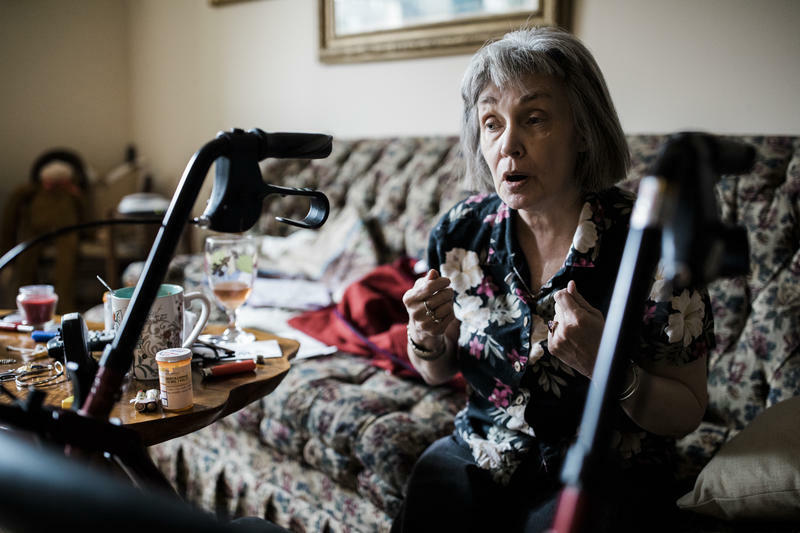 In West Virginia, there are few programs that can help, and those that do serve the state’s aging population are overburdened — with waitlists that can stretch months or years — or require applicants to qualify for Medicaid. “At the end of the day, I think the aging population of West Virginia is something West Virginia as a whole has to really think about — how we’re going to retain our young people and our young workforce here to help with our aging population and our aging parents?” said Cindy Beane, commissioner for the West Virginia Bureau for Medical Services. The waiver program provides personal care and in-home help for more than 5,800 low-income West Virginians who would otherwise be eligible for nursing home care. In January, the DHHR cleared its waitlist — so everyone who has applied and qualified for the services now receives them. Seniors who don’t qualify for Medicaid — but would like to stay in their homes and independent as long as possible — can also get help from a program called Lighthouse, administered by the Bureau of Senior Services. This story was originally published by West Virginia Public Broadcasting. It is part of a series on aging in the region. Read more of that series here.